Getting started with a new smartphone is always an adventure. You’ll want to familiarize yourself with its capabilities and make the most of it. Small features can make all the difference in day-to-day use and cool apps will tailor the device to your needs. Maybe this is your first Android phone, or maybe you’ve already gone through half a dozen. Regardless, there are many things that need doing when you first start putting your new phone to use. If this is your first Android phone (or maybe even your first smartphone of any kind), you should start with the basics. Before you look at more specific features, you should familiarise yourself with the Android interface and its basic features. 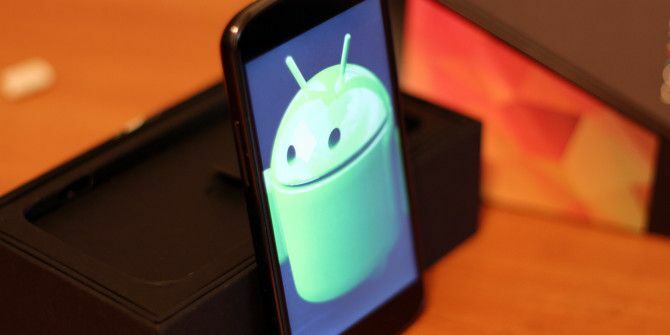 A good place to start is Christian Cawley’s article for new Android users So You Got a New Android Phone: Here's All You Need To Know So You Got a New Android Phone: Here's All You Need To Know Ooh, shiny! Nothing like a brand-new, modern smartphone to start out the new year. Read More . Or take a look at The Complete Android Guide for Everyone. You’ll learn what’s what and where it’s at; how to place a call and take a picture. Import your contacts and synchronize them with your Google account. Play around with these basic features until you get a feel for them. Don’t worry, you’ll be up and running in no time. Widgets are a topic not every Android user agrees on. You either hate them or love them. Personally, I think widgets are one of the biggest advantage of the Android over the iOS home screen. Instead of just populating your home screen with an icon for your weather app, you can add an area showing the weather forecast right there. To install a widget, long-press your home screen or (depending on the app launcher installed on your phone) try going through the app drawer. You don’t have to go far to find interesting widgets. Some of the default Android apps come with widgets, and some of the apps you installed later on probably do too. In particular, take a look at the Clock, Google Search, Calendar and Music widgets. Perhaps the simplest widget is the contact tile, where you can add a button to your homescreen for a single contact, so you can instantly reach out to your significant other, family member or friend. As the apps start mounting on your phone, so does the work to manage them. Take a break and have your phone automatically update your apps to always have the latest and greatest features and compatibility, as well as any security patches. Open the Play Store and press the menu button on your phone to get additional options for the app. Go to Settings > Auto-update apps. Here you’ll find three options. Either do not auto-update apps (which leaves you to manage everything manually), auto-update apps at any time, or auto-update apps over Wi-Fi. The middle option should be used with caution, as your phone will also download apps when you’re on a 3G network. If you don’t watch out, you could incur a lot of extra costs from your provider. The last option is the prudent one as it will only update the apps when you’re connected to a Wi-Fi network. If you use your phone as a camera, it becomes more than just a shiny piece of hardware. It’s filled with memories. It’s easy to underestimate just how ephemeral this collection is. If you don’t make back-ups, all of those memories can disappear in a flash. Drop your phone or leave it in a cab and… all gone. Upload your photos to the cloud to keep them safe. Even if you lose your phone tomorrow, you’ll keep your photos and your memories. Dropbox will do just that. It’ll upload your photos when you’re connected to a Wi-Fi network and you can sleep easy. Google+, Flickr and SkyDrive are also able to back up your photos. For a more information check out these 5 tools to auto-upload images 5 Tools to Sync & Auto-Upload Photos from Android to Cloud Storage 5 Tools to Sync & Auto-Upload Photos from Android to Cloud Storage Nothing is more convenient than taking a photo on your phone and automatically having it be backed up to the cloud. Read More from your Android phone. A phone is plenty useful when you’re on the road, but when you’re at home a regular sized keyboard is much more practical to work with. More so, when you’re behind your computer at home, you might miss messages sent to your phone. All of this becomes much easier if you keep your texts synced between your computer and your smartphone. Text messages sent to your phone will pop up on your computer and you can answer then and there. There are more than a few apps that offer this functionality. Read Danny Stieben’s preferred 3 ways to manage texts on your computer How to View and Send SMS Text Messages on Your Computer How to View and Send SMS Text Messages on Your Computer Want to view and send text messages with your computer? These apps and services let you access SMS without your Android or iPhone. Read More , or my older round-up of three applications that let you manage your texts in your browser Send Text Messages From Your Browser With MightyText & MobiTexter [Android] Send Text Messages From Your Browser With MightyText & MobiTexter [Android] One of the main differences between a phone call, text message and messenger bird is the so-called deadline of reply. That's in an ideal world. In the real world, people forget their cellphones at home,... Read More . Another app that deserves to be mentioned is Krome, because it not only syncs your texts, but all Android notifications to your computer. What’s the first thing you add to a new phone? Let us know in the comments below the article! Much of what I find out there is not for Androids. very important! amazing! how do i walk now? It appears you think these are too low-level. What would you personally like to see in a list like this? VERY important if you like keeping all your stuff from one phone to the next - Titanium Backup Pro (rooted licensed version). Best $5 I ever spent. Also, if you use your phone in the car for calls and music - Car Home Ultra and GoneMad Media Player. Love them both. One more thing - MS OneDrive (formerly SkyDrive) will now auto-upload your pix too with no 3rd party pains. I can't agreee with all of these -- for many people, capacity is an issue. Short of rooting your phone -- first thing some people do?? void warranty?? .... Samsung comes with a lot of crapware that I try to avoid as much as possible, there's no way I'd leave Samsung apps to auto-update. Similarly Hangouts is a BIG app but I never use it , preferring other apps instead. Similar could be said for taking a lot of Google's apps to their factory original state. Hi Russel, thanks for your comment. You should read Chris Hoffman's article on removing Android bloatware. You're right, without rooting your phone (and thus voiding the warranty), you can't completely remove these apps. There are some ways to keep them from annoying you, though. Good instructions, especially for beginners. I would add enabling some type of lock screen (depending on what your device offers). As you said, there are two camps when it comes to widgets. While I'm not against widgets, people should know that every widget is a process that is always running, eating up battery power and slowing device response times. Just don't get carried away adding every widget you find! I don't like letting apps automatically update. Updates can bring problems of their own. When I get notified that an app has an update available, I look at what the updates are to see if they are important to me (such as security updates or bug fixes) or not (such as adding an alternate language that I won't use). I also look at the comments to see if anyone is complaining about problems they have experienced with the update. I agree about not letting apps update automatically. I did that for a brief period of time a few years back when I got my first android phone. That feature got turned off the first time I had an update break an app. What you propose is the best option, albeit time consuming. A lot of people will ignore those mounting updates, though. Automatic updates is a good way to keep your phone secure without much maintenance. 6. Root your phone and install Xprivacy, AFWall, and AdAway. Your battery will thank you for keeping the ad banners away from your GPS. What do you mean by "Root your phone"? Three simple words but a complicated process? Explain? Avoid Steps 3-5 if you value your privacy. Ref: Avoid Steps 3-5 if you value your privacy. Step 3: If you download an app from Google, Google's got you, good by to some of your privacy. If your a Google+ member, the default is share everything that comes through Google with your contacts unless you opt out, and that's not complete. (See recent MUO atricle onGoogle+). Think about discussing an employees promotion with their previous supervisor, and the employee is on your contact list. Step 4: I agree completely. All the cloud does is add a few microseconds for the decrypting process. Step 5: It's a two edged sword. If you have fat thumbs like I do, or lysdexia, and get a lot of texts and mail, it could be useful. Hey, that’s a really cool dialer in the first picture, could you tell me where it's from? 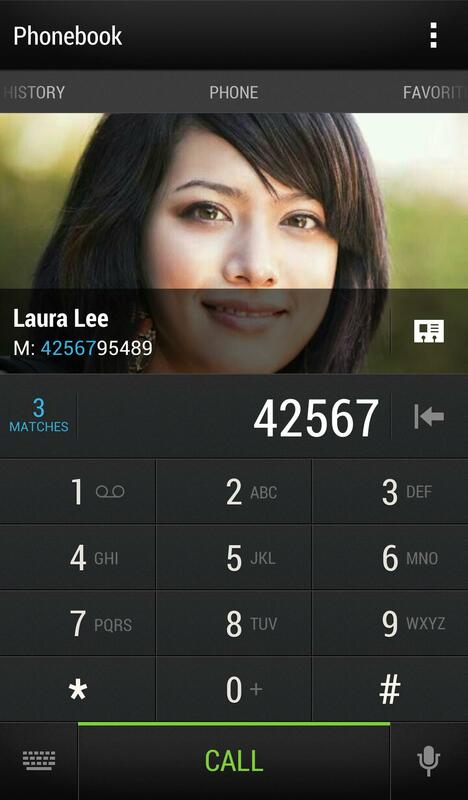 It's the stock dialer that's on some HTC phones. I think it was introduced on the HTC Sense 5, but it's also available on the HTC One Max. Here's a better view. I'm not sure if someone has ported the dialer to other Android phones. A quick Google search turned up nothing on my end. Like your instructions! I did all of these steps when I got my Nexus 5. But I think you forgot one thing: Anti-theft! Preyproject is an amazing thing to use! But also when I got my phone, I ran through all of the settings, because everything has to be configured like I want it to. So that includes unlocking the developer options to enable ART for runtime = much faster! And by the way: Dag Simon, ik kom ook uit Leuven haha, toevallig dat jij als Belg schrijft voor een Engelse site! Veel succes met je studies.